Need a recommendation? Get started here. 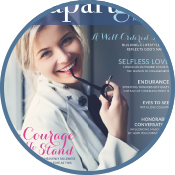 The print edition of the Set Apart Girl magazine is incredible...The truths found within the articles written by a variety of set-apart women from all ages/stages of life are applicable when you first read the magazine, and are worth re-reading six months later! They never become "outdated". I am so thankful for this magazine and how it has pushed me toward surrendering all to Jesus and living a life wholly set-apart for His glory. 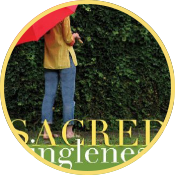 Sacred Singleness put into words what the feminine soul longs for, a passionate love relationship. Although the book is about singleness- it is about the most important love relationship anyone could ever have, and that is a passionate relationship with Christ, the King of Kings! This book is easy to understand, full of great Biblical principles, passionate testimonies, and practical application. I could hardly put this book down until I was done. For days my eyes were filled with tears of joy. I have read many books on relationships but this book went into details often overlooked by other books. I find myself setting standards to go into a relationship understanding that God's grace is made available even in minute things. 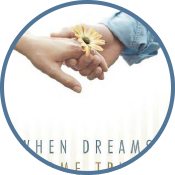 Eric and Leslie thank you for the willingness to share your story. I look forward to reading more of your books.